This effluent chamber consists of a liner in alloy 800H, a shell, a refractory and a water jacket. It was designed for temperatures up to 860°C. It is used for the production of hydrogen in a Kellogg plant and was delivered from Innoweld due to a revamp. Its purpose is to take the reformer gases from the ten risers to a header, which is going to feed the secondary reformer. 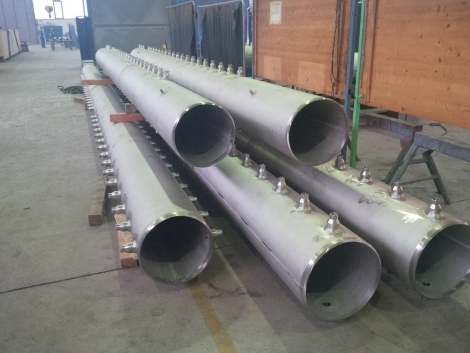 This inlet manifold for a reformer was made out of A 312 Gr.TP347H and is installed in an ammonia plant. It is forwarding the light naphtha to the pigtails and can withstand temperatures up to 640 °C. 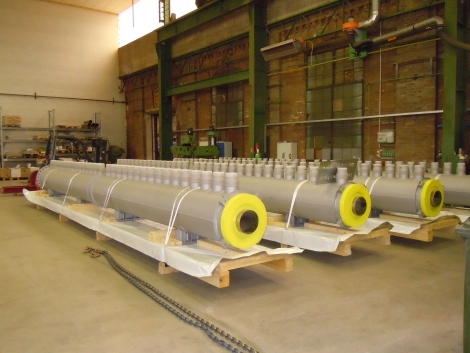 It was delivered in prefabricated parts together with the relevant piping. This primary reformer outlet system and the cross collector consist of a liner with expansion joint, a pressurized shell and a refractory to withstand the temperature. It was fabricated according to Innoweld detail drawings and assembled in our workshop to test the accuracy of fit. 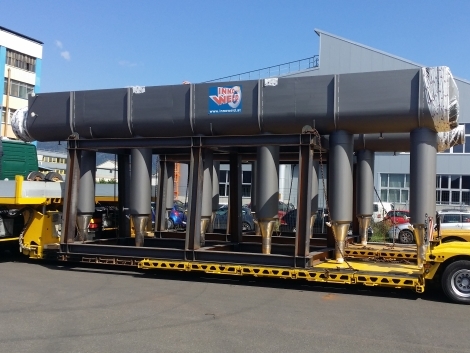 It is installed in an ammonia plant and has a total weight of ~130 tonnes. 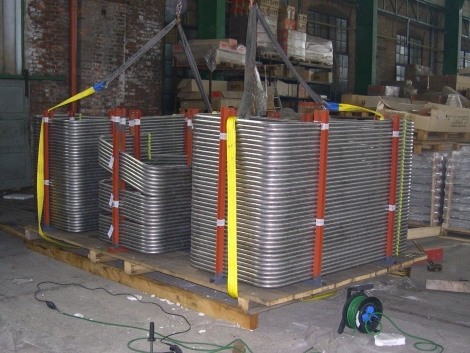 These pigtails, made of Austenitic creep-resisting steel from a steam methane reformer, are responsible for transporting the gas from the feed inlet system to the reformer tube and can be seen as a weak link between these two components. There are different designs of pigtails available, depending on the specific reformer.